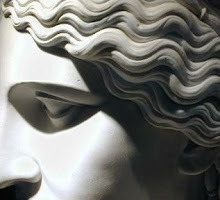 Juliette Harrisson, Dreams and Dreaming in the Roman Empire: Cultural Memory and Imagination. London; New York: Bloomsbury Academic, 2013. Pp. ix, 309. ISBN 9781441176332. £65.00. Harrisson's book, based on her 2010 Ph.D. thesis, addresses the possible change in attitudes towards recording dreams in Roman culture of the second century AD.1 Harrisson sees the documenting of dreams as suggestive of cultural identity, and uses a theory of 'cultural imagination' to explain why dreams seemed important and worthy of recording for the Romans. She draws mainly on literature, both historical and imaginative, with some references to epigraphy, and analyses this material for specific literary functions in order to gain a better understanding of the choices of motifs and their wider significance for the study of ancient history. Her book stands in opposition to the traditional approach that focuses on the content of dream episodes regardless of their literary functions and possible cultural and historical meanings (50). Although the title suggests the prominence of Roman material, much of the text refers to evidence from other cultures, notably Near Eastern, Egyptian and Greek. Modern dream experiences and the ways in which they are studied are used for comparison throughout the book. The book contains an introduction, four main chapters, and a conclusion. In her introduction (1-22), Harrisson explains the fundamentals of her 'cultural imagination' theory and its application to the study of dreams in antiquity. She uses this model to consider dream reports as part of the 'collective' and 'cultural' memory that forms and boosts perceptions of identity among individuals in a group. Harrisson is interested in the cultural purpose of dream reports, and so is able to disregard the problem of whether these reports represent realistic scenarios. For this reason, she includes both the historical and the imaginative sources. In chapter 1 (23-73), Harrisson asks what Greeks and Romans thought dreams were, and discusses in detail how they are explained and classified in modern terms. For simplicity she focuses primarily on two categories – 'message' dreams (characterized by a visit from a deity or deceased person passing a clear message to the dreamer) and 'symbolic' dreams (an impersonal sign or omen that requires interpretation). She acknowledges, however, that there are other kinds besides these and that the ancients had little interest in categorizing dreams in this way outside the philosophical or technical texts. Rather, they tended to understand dreams as divine (sent by the gods and hence important) or as non-divine (not sent by the gods and hence unimportant). Thus dreams could fulfill social or religious functions, with obvious benefits in areas such as healing or telling the future. This chapter reinforces the idea that the function of a dream report is determined by requirements of the particular text in which it is recorded. Chapter 2 (75-124) focuses on dream reports in historical literature. In chronological order it surveys dream reports from the Near East, Greece and Rome in order to identify possible changes in recording habits. Overall, the evidence suggests that only fulfilled prophetic dreams are recorded. Typically these are connected to important people or events, and usually they justify action, often with a political undertone. As part of this chapter Harrisson explores the personal stance of particular authors towards the historical value of dreams and of the omens presented in them. This part of her book is especially interesting as it reveals striking variations. Some authors distance themselves, considering people's responses to dreams to be grounded in superstition (e.g. Polybius). Some carefully choose words so as to leave it unclear how far they accept dreams as part of a 'true' historical narrative (cf. the frequent use of λέγεται by Plutarch in connection with dreams). Nonetheless, the evidence clearly marks dreams as an acceptable medium of cultural imagination (i.e. enough people believed in the idea of dreams' ability to shape history), and one that continues to be used up to the Roman period and beyond. Concluding her chapter, Harrisson considers two second-century AD examples (dreams recorded by Appian and by Perpetua), and argues that the practice does not seem to have changed, especially as the case of Perpetua shows both continuity of pagan customs and their incorporation into the early Christian tradition. In chapter 3 (125-176), Harrisson turns to imaginative literature. She argues that fiction provides a means of explaining the nature of the dream experience, and that dreams could be invented in order to achieve specific effects. In fiction, an author can describe directly where a dream has come from and why. Dreams can then fulfill various functions in the narrative, such as motivating a character to make decisions or justifying their actions. Dreams can also act as tools for moving the plot along. Harrisson divides her argument according to the type of dream. Divine message dreams, presented by epic poets such as Homer, Virgil, Ovid and Silius Italicus, are often described in complex ways. This suggests that the authors introduce via the dream new forms of information and ideas that are not widely accepted. Message dreams from the dead, for example, allow the reader to contemplate the idea of an afterlife without a clear indication of whether the dreams represent real ghost experiences or are inspired by the dreamer's memory. Symbolic dreams usually fulfill dramatic functions, when their true meaning is made clear to the audience but not to the character. Incorrect interpretations of such dreams often lead to tragedy. In comedy, however, the author often mocks overreliance on dreams through the actions and words of the characters. Harrisson concludes that though we cannot be sure what the texts are making fun of, the sense that the ancients distinguished between rational and irrational scenarios reflects the fact that some dreams were strongly embedded within the cultural imagination. Chapter 4 (177-226) considers the range of actions taken by people in response to dreams and the customs of dreaming in medicine. Harrisson mines literary and epigraphic sources from the Near East, Egypt, Greece and Rome for rituals (such as purificatory bathing or sacrifice to the relevant deity), professional interpreters and dream books. Despite some evidence for skepticism, especially among members of the Roman elite (e.g. Plutarch), enough examples exist of dreams being regarded as important in the second century AD (e.g. Artemidorus). The evidence reveals a strong similarity in ritual activity and in interpretative means across the range of cultures under examination, but the meaning of symbolism sometimes varies. This, Harrisson argues, might indicate a common source or cultural interchange, and hence similar approaches to dreams may represent continuity. In the second part of this chapter, Harrisson considers the apparent importance of dreams in medicine. She surveys the approach to dreams in technical medical texts ranging from the Hippocratic Corpus to Soranus, and concludes that dreams were not treated more seriously by physicians of the second century AD. Special attention is paid to the popularity of incubation shrines, in which dreams were actively sought. Harrisson discusses the case of Aelius Aristides, and argues that his testimony does not allow definite conclusions to be drawn. Instead she interrogates literary sources and epigraphic dedications from incubation oracles across the Classical world. While a relative decline in the popularity of some incubation shrines is noticeable (especially on the Greek mainland), others appear to have reached their peak in the second century (e.g. Claros). This, Harrisson argues, might be connected with a decline in population or an increase in epigraphic activity in the areas in question, but she does not disregard the possibility of an increase in religiosity in specific regions. The chapter closes with useful commentary on the epigraphic evidence. Harrisson rightly admits its limitations, particularly the lack of detail in dream narratives from which full reports could be reconstructed. However, she observes that a dream is sometimes given as the motive for a dedication, which suggests that dreams have significance in cultural imagination, even if the recorded dreams were not, in fact, real. Harrisson's conclusion (227-245) links dream reports from the Classical world with modern perceptions of dreams and dreaming. Because the idea of some dreams being significant has not yet died out, she concludes that the ancients related to dreams in similar ways to modern people. Nonetheless, while significant dreams in antiquity occupied a respectable place within the cultural imagination, today they do not. Two appendices accompany the book. These consist of a catalogue of ancient authors whose works include reports of dreams and dreaming experiences, with references to specific works and passages, and a series of tables profiling the frequency of dream reports according to the type of dream, the genre of its source and its date and region of origin. Harrisson makes every effort to make her text accessible to a non-specialist audience, using clear language and including a large amount of contextual information. Comparing ancient and modern perceptions about how dreams and dreaming work is useful in this respect. Harrisson takes care to explain her usage of technical terms, though repetition is sometimes noticeable (for example, the reader is frequently reminded of the distinction between message and symbolic dreams: e.g. 88-9; 110; 146). Latin and Greek are punctiliously translated. More direct citations would have been welcome in places where specific dream reports are discussed at length, but each source is well referenced either within the text or in the appendix, allowing the reader to follow the discussed material with ease. Overall, the book is well researched and meticulously presented.2 It provides an engaging and persuasive read throughout, and with its innovative approach it will appeal to readers from both academic and non-academic backgrounds. 1. The original Ph.D. thesis is in the public domain and can be accessed at Cultural Memory and Imagination: Dreams and Dreaming in the Roman Empire. 2. There are a couple of minor typographical errors (233; 245), and the use of a footnote on page 265 does not comply with the referencing system used throughout the rest of the book.